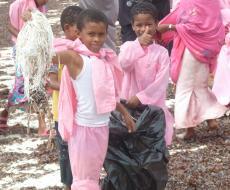 EcoWorld Watamu's is Kenya's answer to recycling waste, promoting health and community wealth. 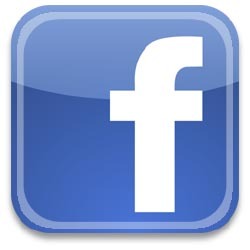 See our Watamu Marine Association Facebook Page for more infomation about us. Plastic bags and materials are ingested by endangered sea turtles who mistake them for jellyfish which are part of their natural diet. The turtles eventually die due to internal problems and starvation due to the gut being blocked. Plastics are also ingested by cetaceans (dolphins and whales). Whales, dolphins and whale sharks can all be found in Watamu waters. Plastics smother corals and other marine creatures living on the sea bed, inhibiting them from breathing and feeding and resulting in loss of health or death. The impact of solid waste is deteriorating our local environment resulting in threats to human health and welfare and potentially discouraging tourists from visiting the area. The latter is a serious concern as many coastal communities depend on tourism as their primary source of income and employment. 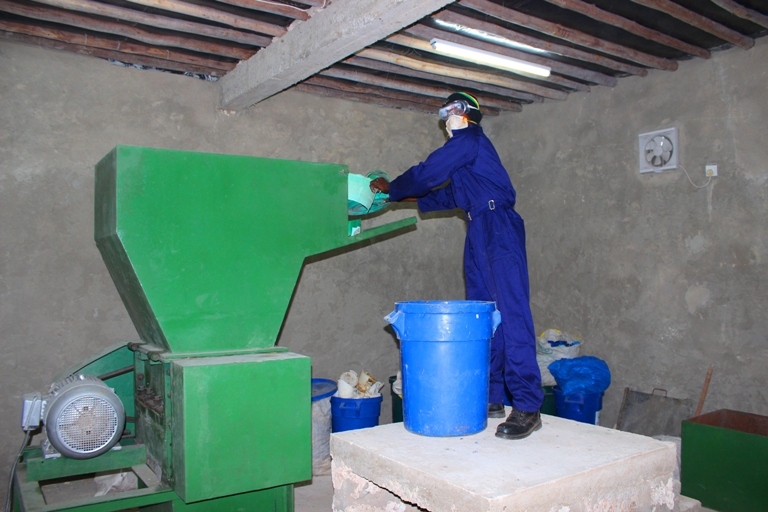 Recycling machinery was purchased for crushing plastic waste and the Blue Team waste collectors and recyclers were formed, made up from impoverished members of local youth and women's groups. 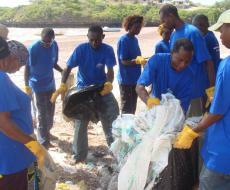 The 25 Blue Team members carry out weekly beach cleanups and work to keep the village roadsides free of rubbish. They are mostly sponsored by local hotels and businesses which sustains their operations. 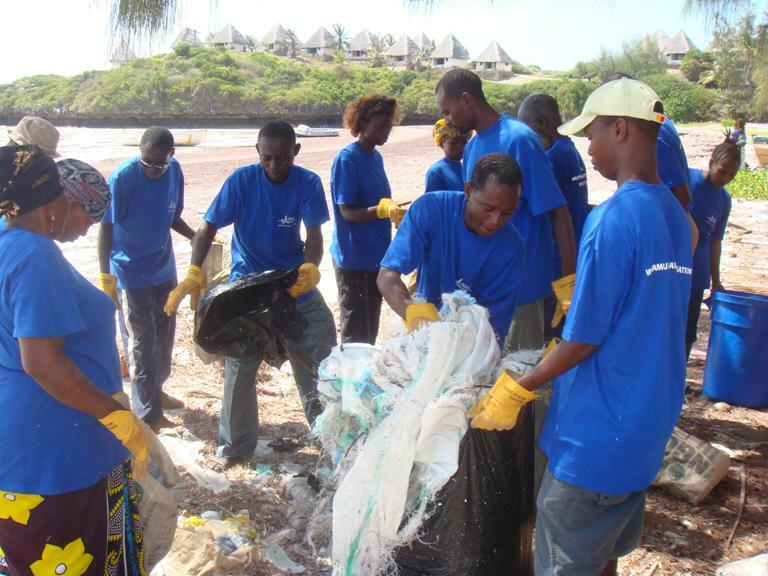 Taking Action -In Watamu we are making a difference by fighting back a tide of waste. 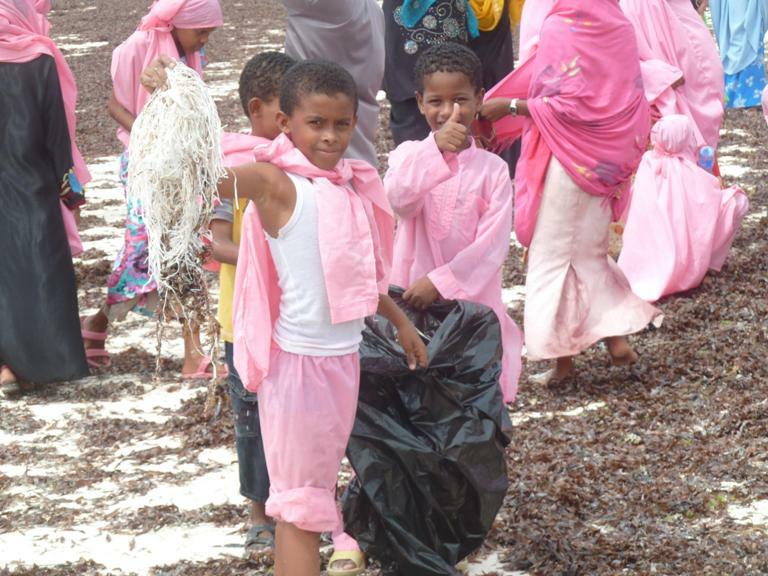 Taking part in the Ocean Conservancy International Coastal Cleanup Day in September 2015 we collected 3,124kg of marine debris from our beaches which are important sea turtle nesting areas. In 2014 with support from Friends from Ireland, the first phase of construction was completed at the new plastic and glass Recycling Centre. 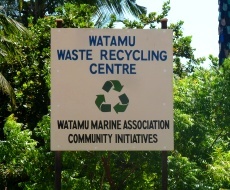 The Centre aims to recycle all plastic and glass waste produced by hotels and the general community in Watamu. 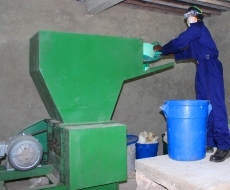 The Centre is generating income from the sale of recyclables. Besides selling crushed plastic to the recycling industries, our local community artists are making art and crafts from flip flops and plastic waste and selling them to tourist outlets. This is a unique initiative at the coast and is intended to raise public awareness to the problems related to waste and pollution and to demonstrate the potential of community solutions to waste management problems. We plan to develop the Centre as a demo site for small environmental technologies and best practices. This will include glass blowing, composting, permaculture, bio-fuel briquette making as an alternative to charcoal, bio-gas production from manure and tree nurseries. The site will be open to the public and as a tourist attraction and will also invite government and educational institutions to use it as a case study and centre for learning. 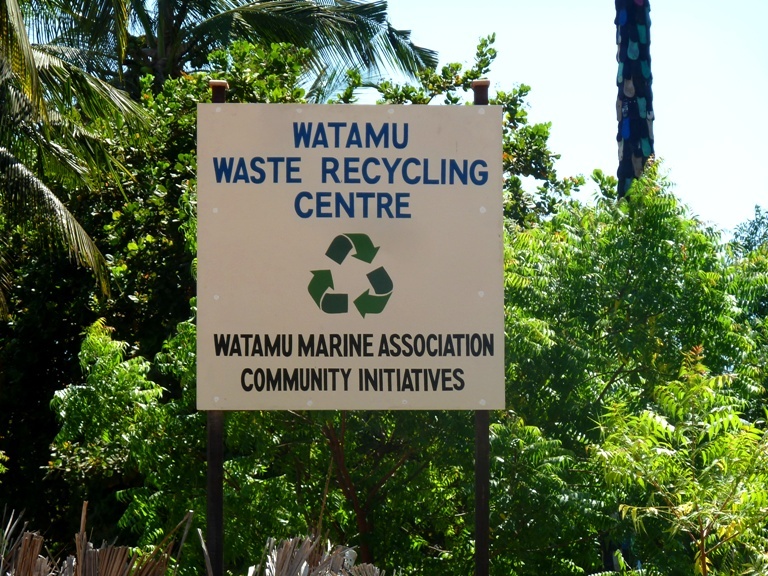 WMA also work with Ocean Sole in Nairobi which takes discarded flip-flops and other marine flotsam and recycles these into products ranging from accessories and jewellery to one-off sculptures.